One of the most fascinating parts of our recent trip to Central America was the daily shower. We had been warned about cold showers which are OK in a tropical climate but certainly not in 60 or 70 degree weather. Here’s a little information about our “shower” experience. Before I complain too much, this was in large part an outcome of our decision to stay in hostels or small inexpensive hotels. As a person who loves a very warm shower, I never thought it was humanly possible to enjoy a cold shower. When I say “cold”, I mean that the water is the temperature of the public water system or whatever type of storage or holding tank is the source for the water, but for me that’s still a “cold shower”. In Honduras, Nicaragua, Costa Rica, Panama and Cartagena, there were no tears shed at shower time because it was 95 degrees outside – even I will admit that a cooler shower felt good. To sum it up, we traveled for a full month without a warm shower. I am still in disbelief that I survived it. Intrigued and want to learn more? 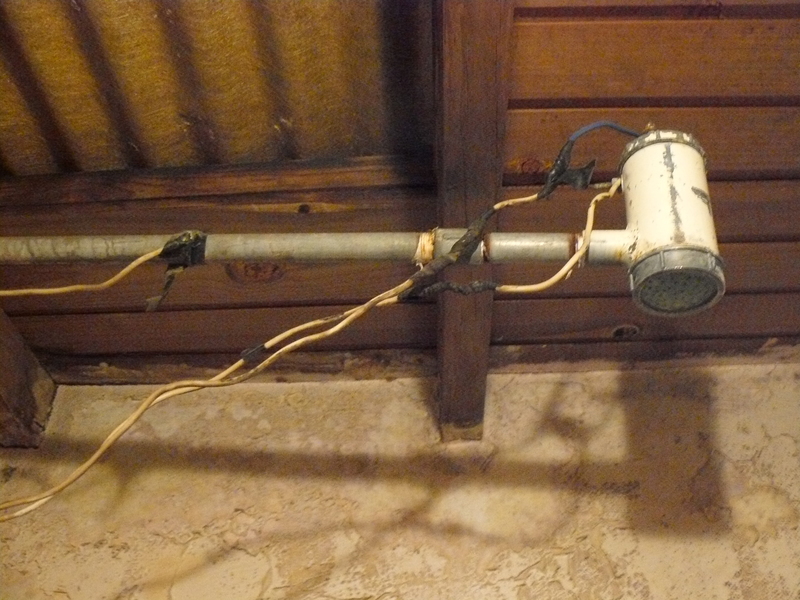 Often called “suicide showers” by travelers, these showers have a single cold water line coming into the device (in fact, most homes didnn’t have a hot water line, even in the kitchen). As you can see, the “super ducha’s” are available in a variety of sizes and shapes – some have a wider shower head (but none of them have a Holiday Inn style smart spray!) A small pea-can sized heater within the shower head warms the water immediately when the faucet is turned on. There is one caveat – with a small stream of water, the temperature is nice and warm however a higher velocity resulted in cooler water. On average, the water was warm. So why the name? 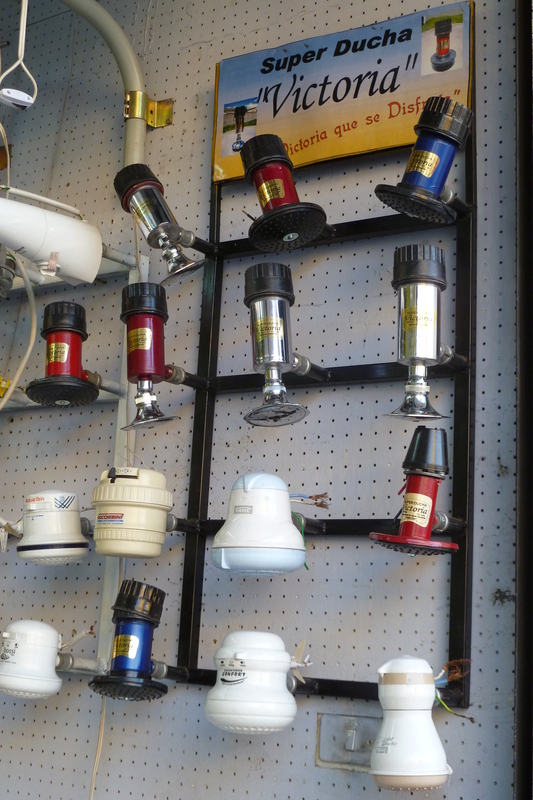 The first time we encountered one of these strange-looking devices, I turned on the water and sparks flew. It didn’t take an electrical engineer to figure out that I shouldn’t step in. 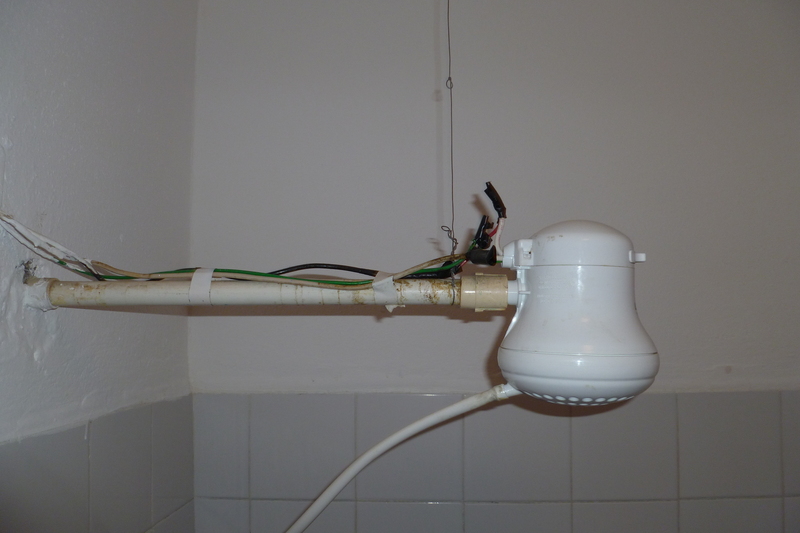 Instead, I notified the hotel staff and soon a workman came to rewire the shower, which looked something the one below but with more dangling wires. 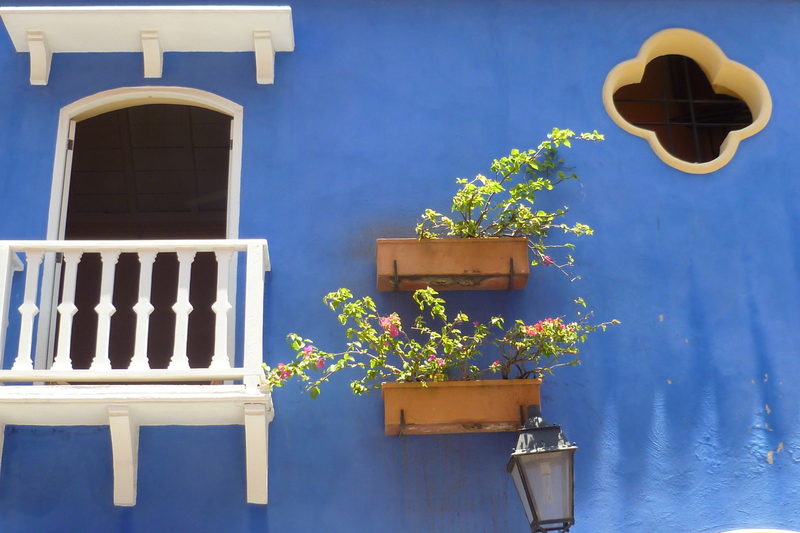 As we met more travelers, we learned that my experience was quite common. Last of all I want to mention that these showers are no reason to stay away from Central America as a travel destination, in fact it’s one of the dozens of experiences that make it a wonderful travel destination. Yes, our trip has come to an end and based on the number of recent posts, you may think this blog has also ended. The latter isn’t true. In fact I have lots of incomplete blog posts which I will still put up while transitioning this back to its primary focus as a sewing blog. 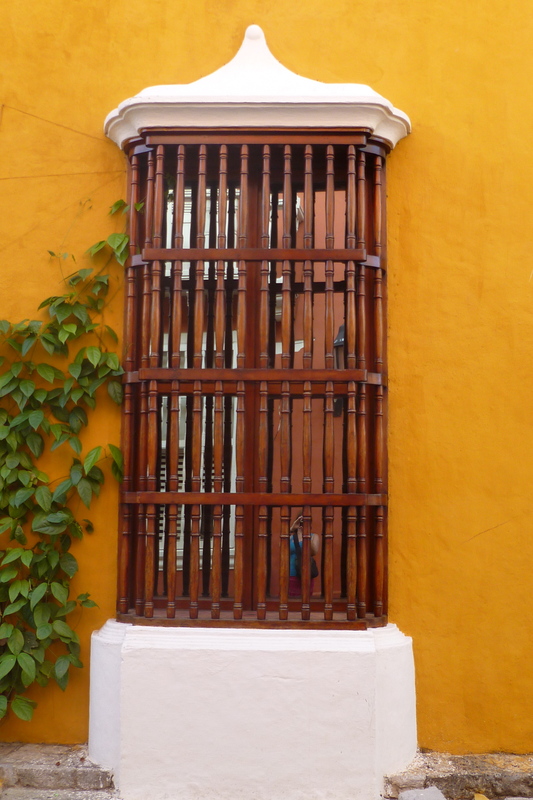 We spent the last week of our trip in Cartagena, Columbia. 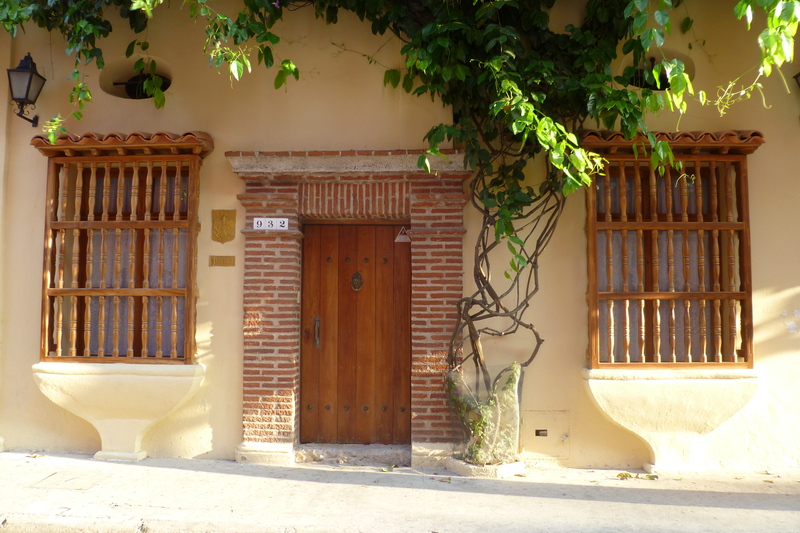 The immediate response of many is a reference to “Romancing the Stone”, but for history buffs, the city was the center of activity during the Spanish era in Latin America. Although this is a large urban city, the traveler’s haven is in the beautifully restored Center or Old CIty, a UNESCO World Heritage site. 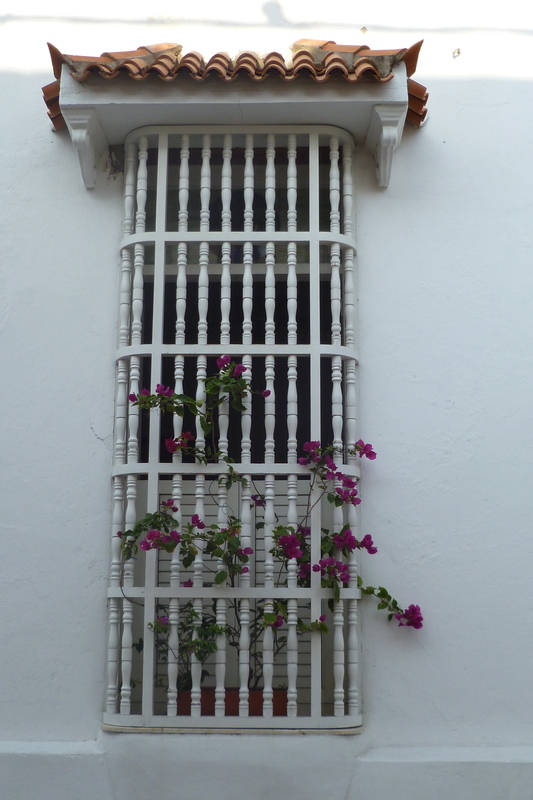 We stayed immediately outside of the city walls in Getsemani, which is the old slave quarter. 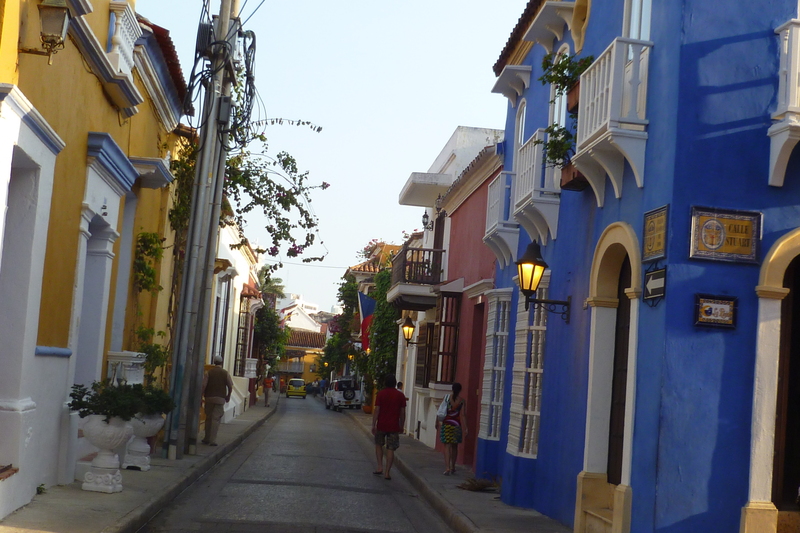 The best way to experience Cartagena is to walk the streets to people-watch, to enjoy the variety of street food and to appreciate the architecture of times past. 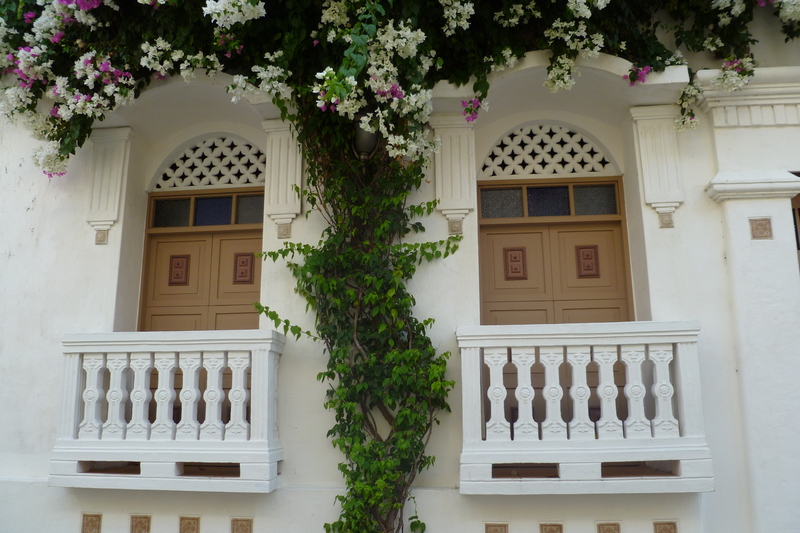 The following are a few photos of the typical doors, windows and bougainvillea lined streets of the Old City. Thank you for traveling with us.